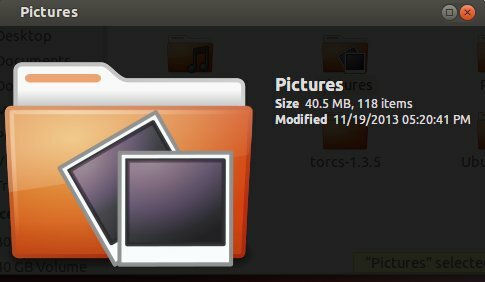 This tutorial is going to show you how to enable Nautilus preview feature in Ubuntu so that you can quickly preview musics, pictures, movies and documents in file browser by tapping the Space key. There’s a Nautilus add-on called gnome-sushi. It’s similar to Gloobus Preview that provides quick file previews. gnome-sushi is available in Ubuntu Software Center since Ubuntu 12.04 Precise. 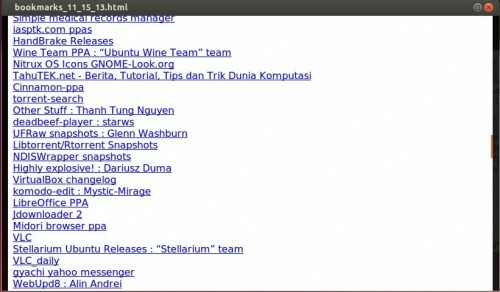 To install gnome-sushi, search for and install the package from Ubuntu Software Center. Then restart Nautilus by running command nautilus -q to make this add-on work. After that, you can select a file in Nautilus and press SPACE key to preview and press the key again to quit preview. 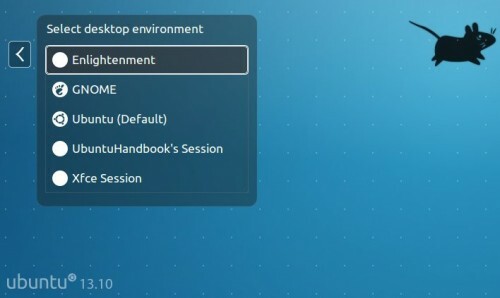 Enlightenment, also known simply as E, is a stacking window manager for the X. Now it’s available in PPA for Ubuntu 13.10 Saucy Salamander. This simple tutorial is going to show you how to intall E17 in Ubuntu 13.10 via PPA repository. This also works on Ubuntu 13.04 Raring, Ubuntu 12.04 Precise, Ubuntu 12.10 Quantal and their derivatives such as Linux Mint. Once installed, log out current session and select login with Enlightenment. Fotoxx, the free and open source digital photo editing and collection management software has reached v13.11 with performance improvements and bugfixes. 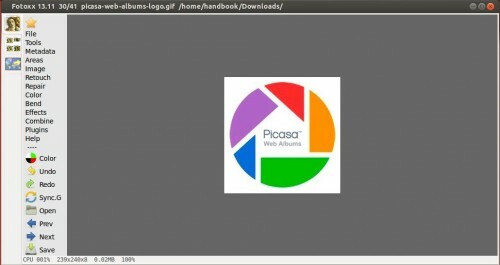 File Sync: image navigation and viewing is now allowed (but not editing). Batch Convert can upright photos made with camera turned 90 degrees. Slide Show: improved capability for automatic pause at designated images. Warp Linear: algorithm was revised to better approximate linearity. New: Highlight darkest/brightest image areas with adjustable thresholds. Select Area: expand or contract a finished area in 1-pixel steps (can reduce edge effects when editing areas selected by color matching). Mashup: interface was improved to simplify and speed-up image positioning. Mashup: mouse can “paint” variable transparency on images in the layout. User Settings: new option to include hidden files in the gallery pages. Trim/Rotate: grid lines match the trim rectangle (rule of thirds always works). Zoom state is retained for Open Previous File, but reset otherwise. Bugfix: Trim/Rotate removed vacated margins that were left intentionally. Bugfix: Trim/Rotate failed to reinstate its prior grid settings. Bugfix: Auto-Trim caused an endless loop under certain circumstances. 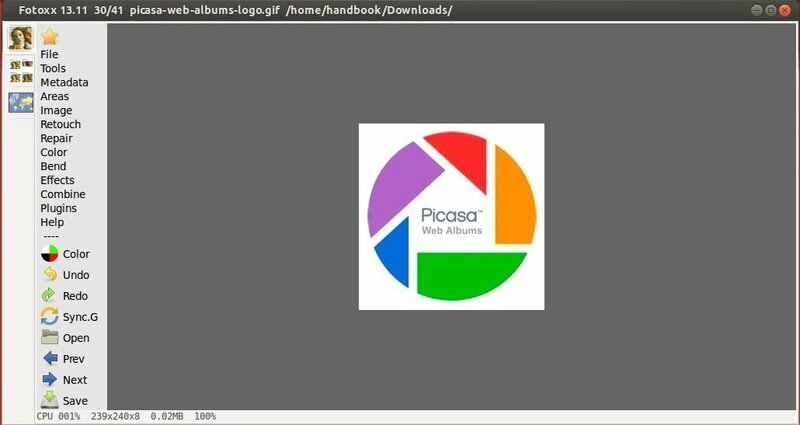 This tutorial is going to show you how to install Fotoxx 13.11 and keep up-to-date via PPA in Ubuntu 13.10 Saucy, Ubuntu 13.04 Raring, Ubuntu 12.04 Precise, Ubuntu 12.10 Quantal and their derivatives. You can also install it from GetDeb repository. Just run previous update and install commands after enable GetDeb. The Nvidia driver for Linux 331.17 Beta has been released with bug fixes and NVIDIA Unified Memory kernel module. This tutorial shows you how to install it in Ubuntu 13.10 Saucy, Ubuntu 13.04 Raring, Ubuntu 12.04 Precise and their derivatives. There’re two ways to install the driver on Ubuntu and its derivatives. 1. Download & Install official installer. c. Start the installer via the command below and follow the on screen prompt. The XORG Edger PPA has updated the packages to make it easy to install this driver in Ubuntu 14.04, Ubuntu 13.10, Ubuntu 13.04, Ubuntu 12.04, and Ubuntu 12.10. The Wine development release 1.7.5 has been released. Here’s how to install or upgrade in Ubuntu 13.10 Saucy, Ubuntu 13.04 Raring, Ubuntu 12.10 Quantal, Ubuntu 12.04 Precise and their derivatives. url.dll FileProtocolHandler does not open URLs in browser. 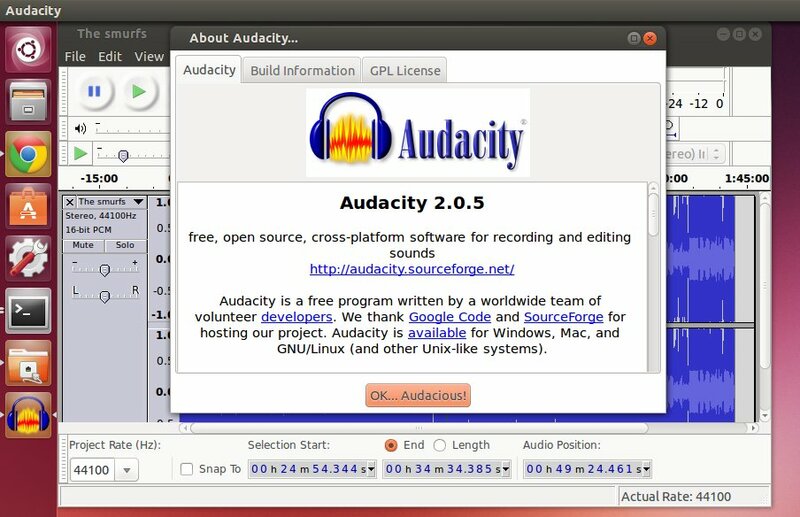 The latest Audacity has reached 2.0.5. It fixes crashes or hangs that were reported in Audacity 2.0.4 on some machines, and contains many other bug fixes and stability improvements. (OS X) Files can now be opened using Finder “Open with”, and by double-click or dragging to the Audacity icon. Other bugs have been fixed, notably shaped dither being too loud, as detailed in the Audacity 2.0.5 Release Notes. At the moment, there’s no ppa repository for this release. However, it has been made into Ubuntu 14.04 (proposed). You can download & install the DEBs from launchpad page as well as the dependencies libsoundtouch0 1.7.1-4. 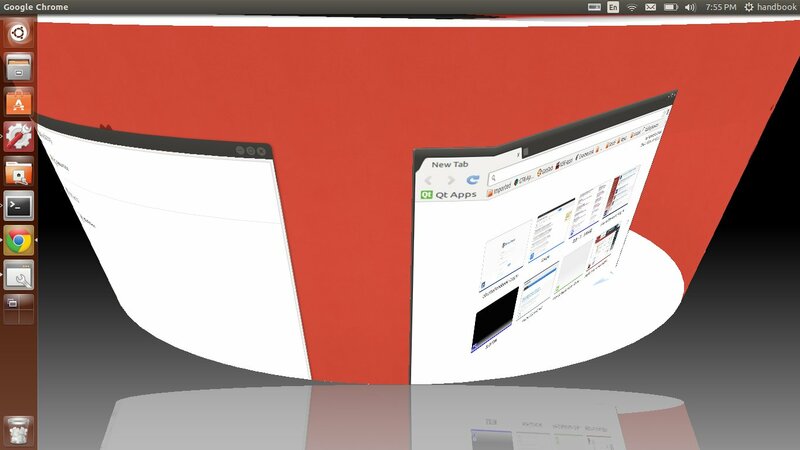 I’ve test in Ubuntu 13.10 Saucy, and it works! 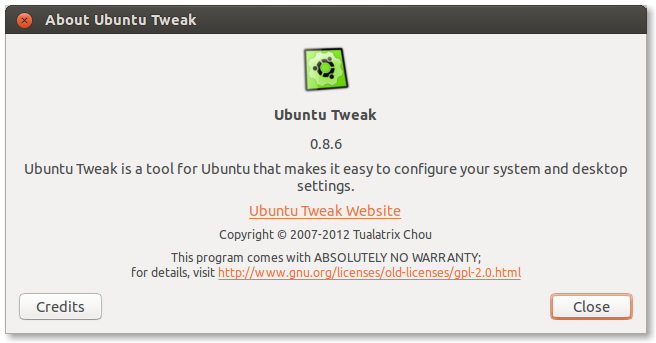 Ubuntu Tweak 0.8.6 has been released today. 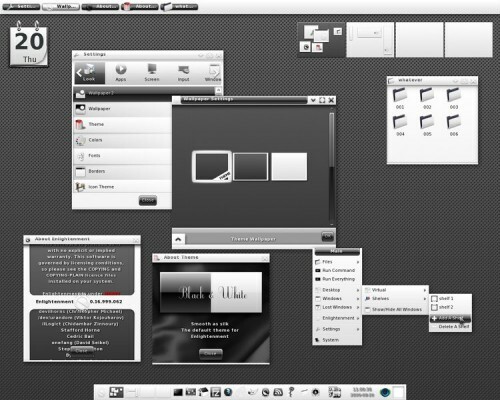 It adds support for Ubuntu 13.10 Saucy and drops support for Ubuntu 11.10 Oneiric. Here’s how to install or upgrade to Ubuntu Tweak 0.8.6 in Ubuntu & Linux Mint. 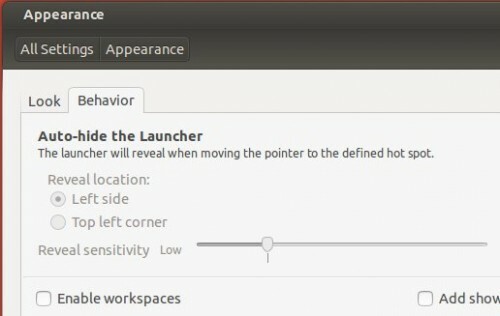 As you know, Ubuntu Tweak is an application which makes configuring Ubuntu easier for everyone. It allows tweaking of many useful desktop and system configuration options which are unavailable via native system tools. Cinnamon 2.0 has been released just a few hours ago. It will be in will be in Linux Mint 16 “Petra”. Here’s how to install / upgrade in Ubuntu 13.10, Ubuntu 13.04, Ubuntu 12.04, Ubuntu 12.10, Linux Mint 13/14/15 using the unofficial PPA repository. Xfce Desktop 4.11 has been released days ago. This tutorial is going to show you how to upgrade in (X)Ubuntu 13.10, (X)Ubuntu 13.04, (X)Ubuntu 12.04, (X)Ubuntu 12.10 and their derivatives using the official PPA. make touchpad type delay configurable. Add an unmount option and notifications when a device is removed. GTK3 version of libxfce4ui for applications that use it. improved keyboard shortcut handling code.